Just when I really needed a quality death metal album... Zombiefication return! I loved “At The Caves of Eternal” a couple of years ago and couldn't wait for this, the Mexicans' latest effort. The wait was worth it... prepare for this album to be praised. 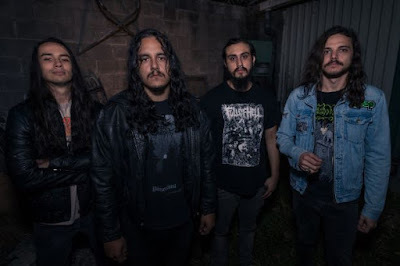 ‘Procession’ rips out with riffs aplenty (nothing like the Chilean doom band of the same name!) and a raw production dripping with reverb. A quirky drum sound completes things for me- no sound replacements here- the production has character! Time changes, medium paced blasts and actual memorable riffs complete what is a very strong opener indeed. ‘The Never Ending Quest’ has a drum fill to open and then comes on like Obituary jamming with Entombed in 1990. 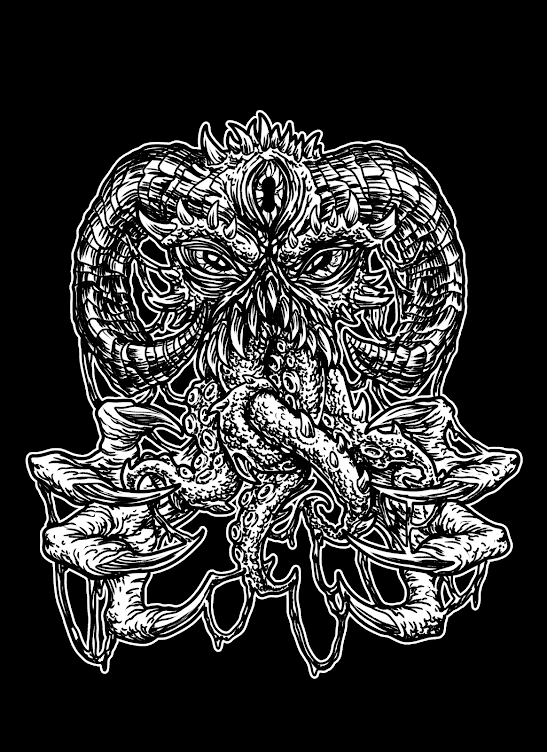 Zombiefication are that rarest of beasts in the death metal world: they don't sound like anyone else. They have instead carved a niche that sees them draw on influences from all over death metal's elite, but managing not to resemble anyone. There is also a healthy doom element to proceedings as things slow down. The dynamic is a welcome one. There are neck snapping passages here too-witness the three minute mark and be converted. ‘Possession’ starts fast and keeps things interesting with varied drumming rhythms, distorted bass and excellent melody guitar work acting as a counter point to the rumbling filth. The track is kept interesting by an unusual solo, great ride work and a very unpleasant vibe throughout. ‘Crossing The Rite’ displays the doomier side of the band- crawling riffs aplenty- but things are still on the death side of doom. Some discordant guitar work gives way to a snippet of sinister clean picking and then the maelstrom of rolling dread resumes. Naturally, the pace picks up but the band sound anything but generic. Once again, this is unusual stuff with an absolutely superb riff framing the track. ‘Infestation’ brings a lot of death metal into play in its seven minutes. The speed is never hyper fast- yes, there are fast passages, but this is not Hate Eternal or any other band overly fond of blast beats. There are melancholy guitar lines too, atmosphere is created and then rudely shattered with dramatic riffs and rolling bass drums. In short, the track keeps you guessing and allows a crawling sense of dread to predominate within the reverbed catacombs of its heart. Cool drum outro here too (great performance throughout the album). ‘The Divine Door’ offers a similarly contrasting track- slow and sinister, fast and menacing. The track runs over the six minute mark, but there is a lot of quality in those minutes so the song does not drag. Instead, the band is at arguably its most progressive with lots of variation for all instruments and a vibe that would not be out of place on, by turns, a black metal record, a noise/avant garde LP and a straight up death metal album from any time in the genre's history. That the band can branch out a little and retain the essential elements of the genre is to their credit. ‘Oppression’ is the shortest track on the record at a little over four minutes but the riffs still come thick and (not always) fast. Again, it's memorable- catchy even- and shows the band's song writing ability. ‘The Blackest Light’ is fast and furious to start before giving way to a killer triplet-time-feel-type riff before going airborne again. The track provides a very strong statement with which to finish the album, complete with lead break towards the back end. In summary, this is one of the strongest and certainly one of the most unusual death metal albums of the year so far (and likely to remain that way!). The whole album is strong with some cracking riffs and performances. Unique, dark and crawling with horror, this is superb stuff. Metal of the highest quality.